As an Associate Professor in the Faculty of Creative and Critical Studies at the University of British Columbia, Okanagan, Jodey Castricano teaches in the English and Cultural Studies programs. In English her specializations are in 19th century literature (gothic) as well as in cultural and critical theory. In the case of the latter, her primary area of expertise and ethical concern is in posthumanist philosophy and critical animal studies with extended work in ecocriticsm, ecofeminism and ecotheory. 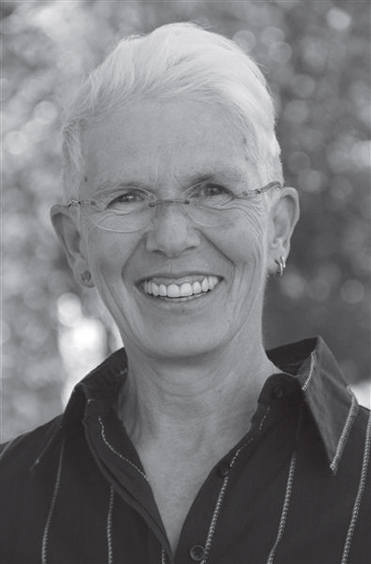 She has published essays in critical animal studies and is the contributing editor to Animal Subjects: An Ethical Reader in a Posthuman World (Wilfrid Laurer University Press 2008). A second collection of essays in critical animal studies, Animal Subjects: An Ethical Reader in a Posthuman World 2.0, of which she is co-editor and contributor, is forthcoming in 2014. At present Professor Castricano has been named to a Working Group of 18 international academics from six countries under the leadership of the Revd Professor Andrew Linzey, Director of the Oxford Centre for Animal Ethics (www.oxfordanimalethics.com) to undertake a new review of the ethics of the use of animals in research. Castricano is also working with other Canadian researchers to establish a network of scholars whose interests are in the interdisciplinary field variously named animal studies, human-animal studies and critical animal studies. As a Research Fellow in the Oxford Centre for Animal Ethics www.oxfordanimalethics.com, she seeks to develop ethical perspectives on animals through academic research, teaching and publication and holds that all sentient beings have intrinsic value and should be treated with respect. To these ends, she has developed an upperlevels course called “Posthumanism and Critical Animal Studies” and a graduate level course entitled, “Ecofeminism, Posthumanism and Critical Animals Studies.” In this research area, she has participated in the UBC Green College Speaker Series, “Bringing the Collective Together: Nonhuman Animals, Humans and Practice at the University”, www.youtube.com/watch?v=Izy8-wAN1oo, participated in the “Nature matters, materiality, and the morethan- human in cultural studies of the environment” conference at York University, the “Thinking About Animals” conference at Brock University, a workshop on the state of the field of ecocriticism at Western University and, currently, serves on the International Advisory board for the Institute for Critical Animal Studies and as a consultant editor for the Journal of Animal Ethics.